This Product is handpicked for Amazon's Choice. 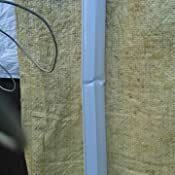 Material: Polycarbonate, Color: Cool Day Light Warranty: 2 years on product Could easily replace 36W tube light High performance non yellowing diffuser providing spot free light LM80 tested LED's which guarantee long life No effect of voltage fluctuation Natural light with no strain on eyes. 5.0 out of 5 starsVery bright and very light. 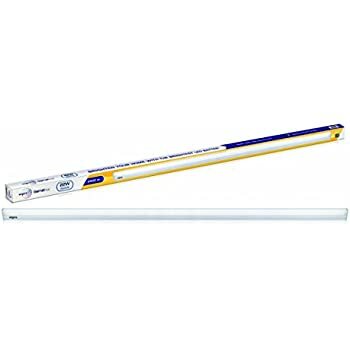 Gives more light than 40W tube. This gives 2400 lum unlike the others which are 100 lum/watt so a little more efficient. 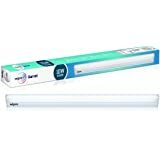 I wanted one with more light than a 40W tube for the kitchen since it is rather large. It does seem much brighter than the Philips 20W which is only 2000 Lum. Comes with clamps and screws which was a surprise. Just remove the old tube, use the same holes to attach the clamps and the wires and you are all set to go. Make sure the main power fuses are ALL OFF. Just in case the wiring is backwards or bad and such. Even if power is off, if you have a fan running, there will be current on the wires due to inductance. 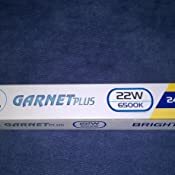 This looks like one of the new power efficient 28W tubes. But it hardly weighs anything. Even lighter than all the LED bulbs I got. 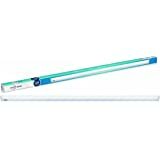 So if you need a light that gives much more luminescence than a regular 40W tube-light then this is for you. Remember this is bright. 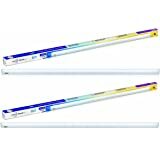 Normal 18W LED tube gives similar amount of light as a 40W tube. So only get this if you really need the extra light. 2.0 out of 5 starsWipro..not upo the mark. 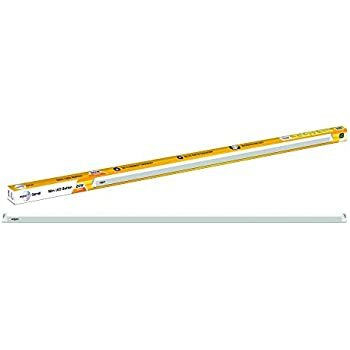 I found the Wipro 22 watt led batten lights not upto the mark. 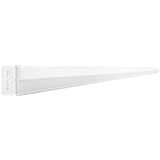 This is because it gives a very low light when I compare it with 20 watt EverReady batten. 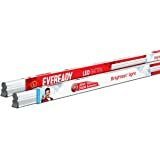 Also cost wise the EverReady batten is cheaper. I did a one to one comparison by installing both the lights in same room and found the difference in illumination. I have been using EverReady since 1 year and found this brand to be value for money. Also finishing of eveready is much better. This item is delivered on 17 Oct 2018.Found the tube is defective, its shape is distorted. But when I plugged in to socket it is glowing. Not looking good as it is having bends. No Words to describe the after sales warranty replacement by Wipro. Every time called the toll-free number, the reply was"WE SHALL GET BACK TO YOU IN NEXT 24 HOURS", but thier 24 hrs. never came even after 2 months of complaint. 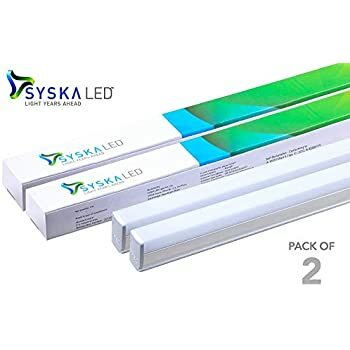 Had purchased 2 LED tubelights, out of which one stopped working in just 5 months. Warranty is for 2 years. Wipro is just passing time so that we loose the warranty. Hopeless.. not expected from a such a BIG Indian MNC Brand. 1.0 out of 5 starsApathetic customer service, but product is reliable. It has been 6 months I am using this product. 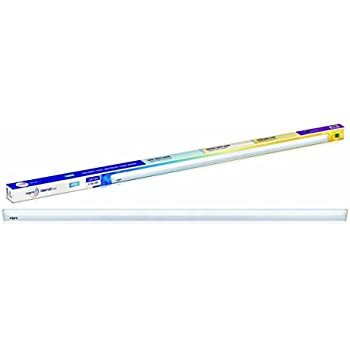 The pros of this tube light and unlike the old one's is its light weight, bright light, fear of breakage is less and obviously the best part is Electricity consumption. But one of the tube lights out of 4 stopped working on 28th July and I called up the Wipro customer services. Customer service is so pathetic that you will never ever buy anything that has Wipro stamp. 3.0 out of 5 starsMissing: The clips for fastening the LED batten. The product is nice and worth the price. The issue is mainly with the cheap carton for the packing. 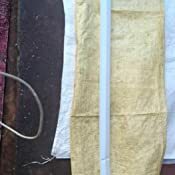 The end tabs are torn, and the clips supplied with the product to fasten to the wall, will be missing for most of the items. 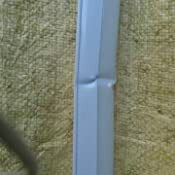 Without these two clips for each batten, it is not possible to fix to the wall. I have placed orders for seven numbers (4+1+2) till date. My troubles started with the one unit and the two units order. I have to return the single tube for replacement as it is not having the clip and the batten is crushed inside the transport vehicle. The two units that were supplied are without clips, and the replacement shipment too came with ends open and without clips. The rejected the delivery at the first sight. 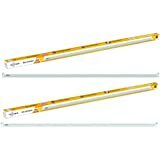 I am left with two LED battens without fixing clips. The joy of shopping is lost. 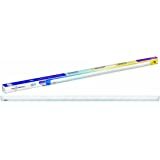 While buying these led batten i am bit skeptical , as led light bulbs we use are harsh on eyes couldn't see them directly UV issue. Particularly govt supplied once are below par the branded. 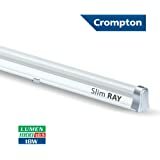 But Wipro batten far exceeded my expectations, nicebright light , we can stare directly at it, with no eye strain, quality of light is better compared other brands like crompton, Syska,eveready, which I have in office.